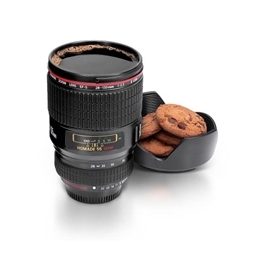 Not your average 'His and Hers' mug set! Need an anniversary gift for your married friends? Or perhaps you need a Christmas present for that couple you know? 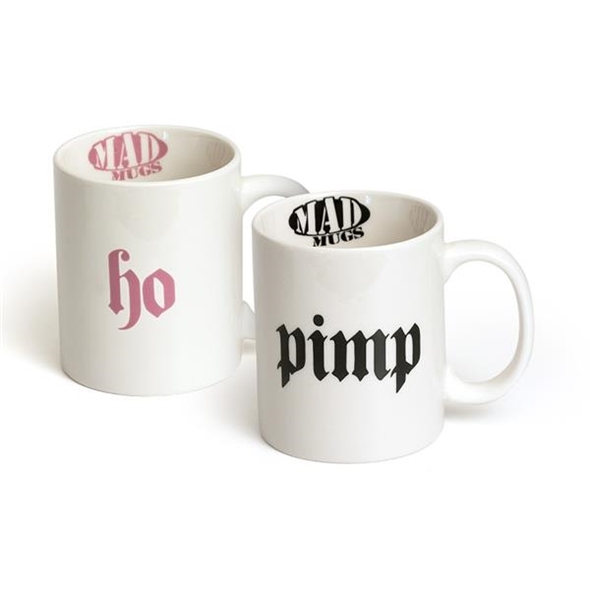 Either way, this mug set is exactly what you're looking for - it contains one 'Pimp' mug and one 'Ho' mug, making it a rather cheeky twist on the usual his 'n' hers gifts! 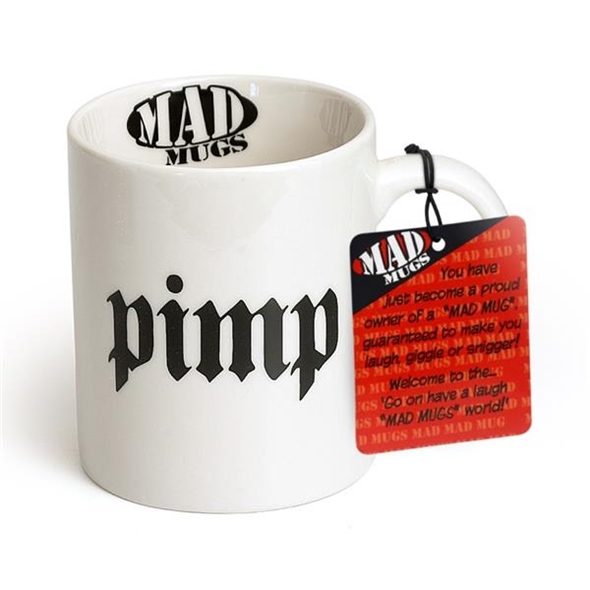 Obviously, the 'Pimp' mug is meant for the man of the house, and the 'Ho' mug for his loving wife, but you could always shake things up a little - this is the 21st century, after all, and we don't see any reason why the man couldn't use the 'Ho' mug. The perfect present for your favourite pimp/ho combo! Pimpin' ain't easy, and the occasional cuppa can really go a long way. These novelty mugs are perfect for a fun-loving couples, particularly if they consider themselves a little bit 'street'. 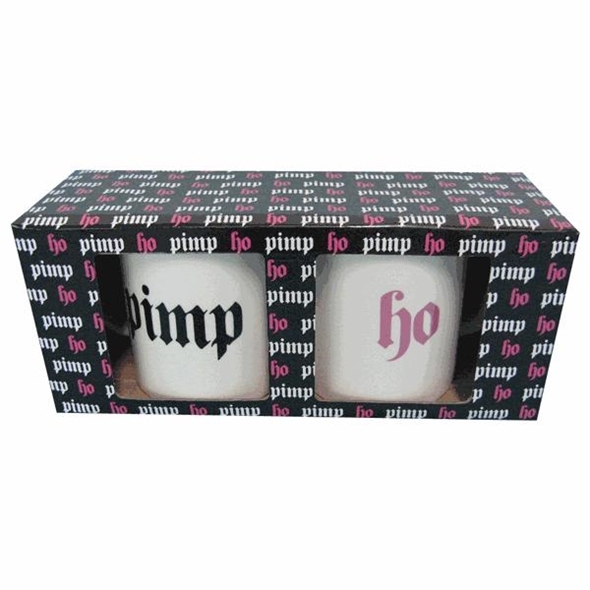 Next time you need a pair of gifts for your favourite couple, remember this pimp and ho mug set - they're sure to love it!